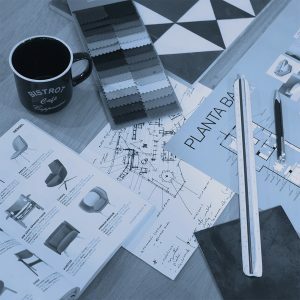 Somos un estudio de decoración y diseño de interiores en Palma de Mallorca. Home staging, personal deco shopper, proyectos integrales... Más de 30 años trabajando en el sector. Not Another Interior Design Studio. We get it. We’re modern, but classic; we’re trendy, but elegant; we’re edgy, but conventional. It’s all about balance: there will be a lot of you and tons of us. Our main goal is to optimize spaces by giving them a personality created with your wishes, the latest trends and our specialized vision. Developing integral decoration projects inspired by the latest trends and a selection of high quality products in order to create unique solutions for each space. Welcome to Trends Studio! Our multidisciplinary interior design studio is based in Majorca. We work on all kind of projects, including boutique hotels, real estate properties, restaurants, retail spaces, galleries and vacation rental homes. We turn spaces into equally beautiful and functional places that make you want to stay forever.